To make this project extra simple, we're going to make as few cuts as possible. Take your scissors and cut along ONE of the side seams for each shirt, going all the way up to the sleeve. Leave the other side attached. 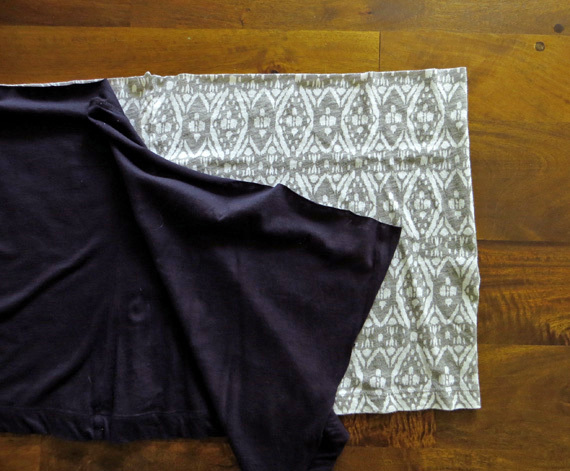 I used two medium-sized shirts and ended up with rectangles that were about 15" x 32", but depending on how big you want to make the bag and the size of the shirts you use, your measurements will vary. My navy shirt was on the flimsy side, so I opted to add some fusible interfacing to the back of it. This part is 100% optional. 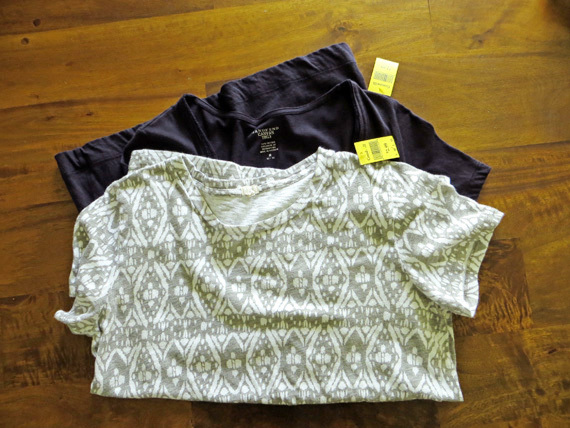 After that was done, I pinned my layers together with the fronts of the shirts facing each other. 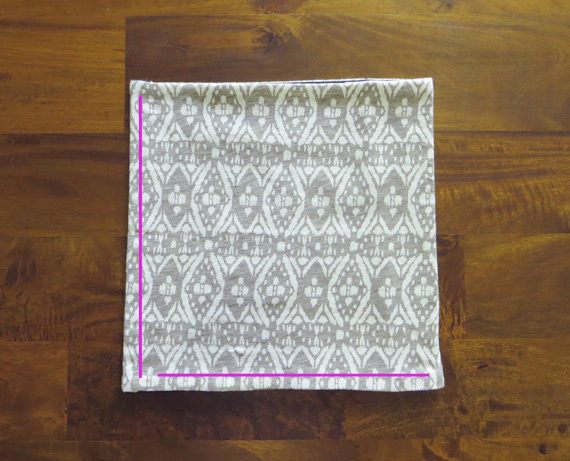 You'll want to be looking at the back of the fabric while you sew. 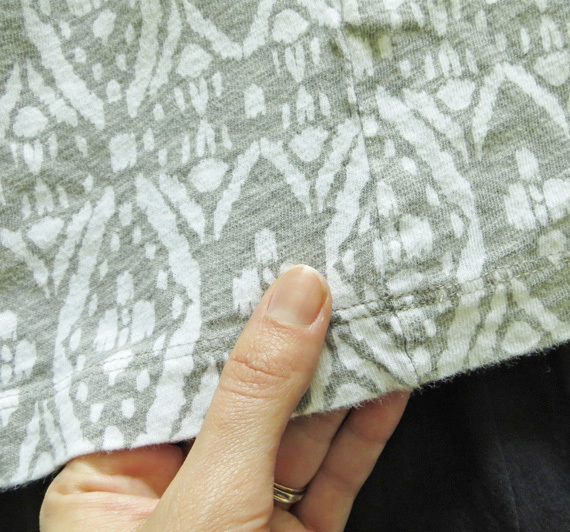 Sew a 1/2" seam around the perimeter of your t-shirt pile, leaving a few inches open at one end so you have enough room to flip everything right side out. Fold that big rectangle of fabric in half and decide how you want to close up the left side and the bottom. 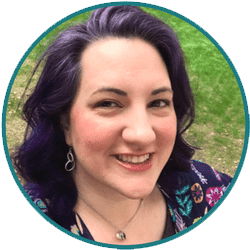 If you have a heavy duty machine and aren't worried about sending so many layers under the needle, rock that straight stitch to close her up! If you're me with a regular ol' machine that's kind of temperamental, let's discuss the virtues of fusible web. This is a fabulously durable no-sew product that you sandwich between the seams and press with a hot iron. There are multiple varieties out there, but I'm a fan of Dritz Fusible Bonding Web for Heavy Fabrics, which has the extra bonus of being machine washable and dry cleanable. Hammer time! I mean, handle time. 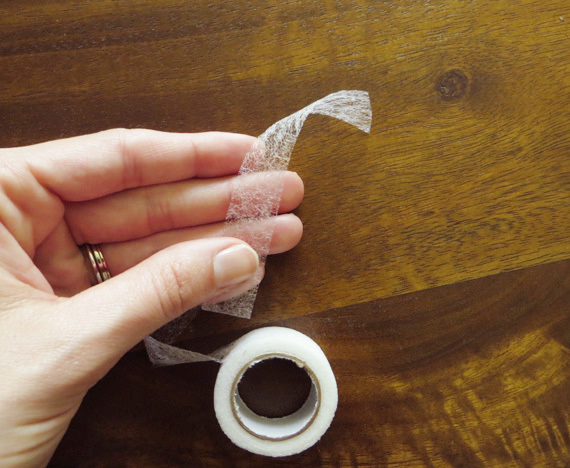 Grab your cotton tape and decide how long you want those straps to be. Again, this will vary based on your height, the size of your bag, etc., but I cut mine into 26" strips and sewed them to the outside using a straight stitch. 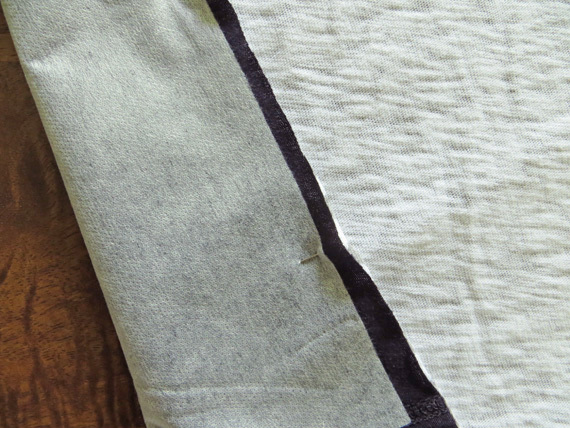 Be sure you fold the ends under so the cotton doesn't fray and look scraggly. 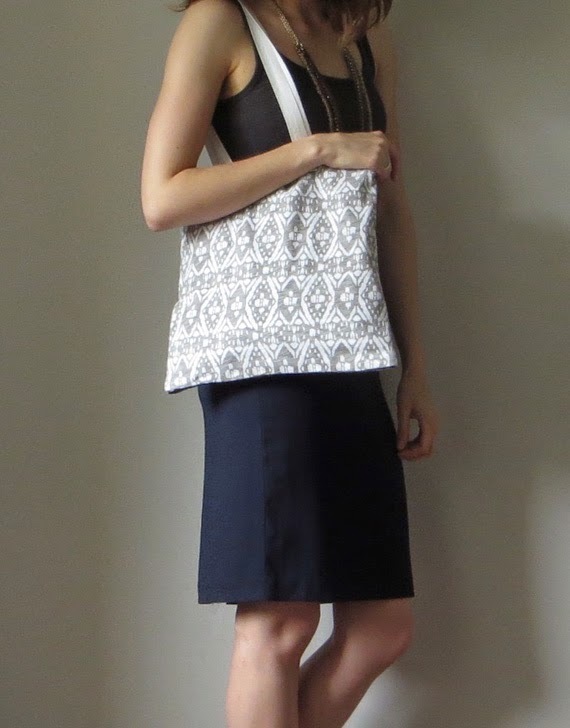 If you prefer the straps to attach on the inside, you can also do it that way, but make sure you choose a thread that will coordinate with the outside of the bag. 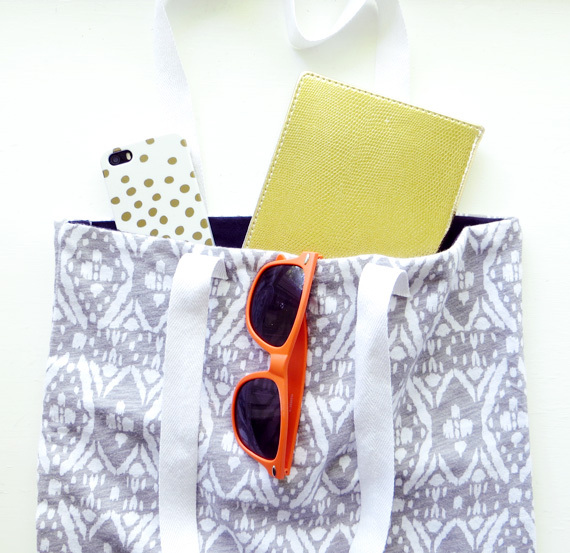 Once the handles are in place, you have a new tote bag! I'm really happy with the size of mine--about 14"x16"--and because it's jersey it's soooooo soft. It's making my other, scratchier tote bag look bad. 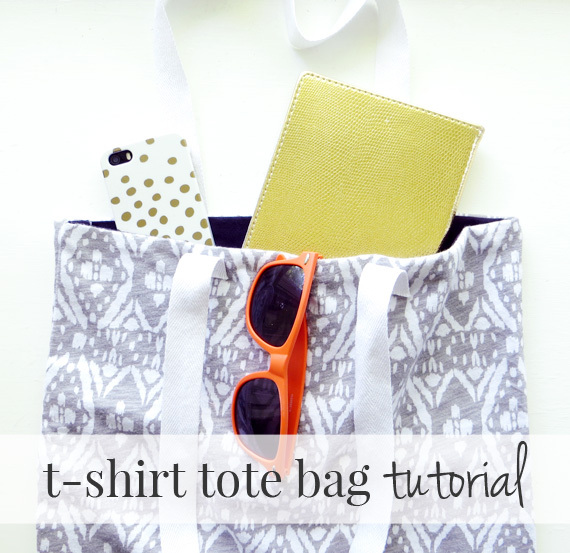 What do you like to make out of old t-shirts? 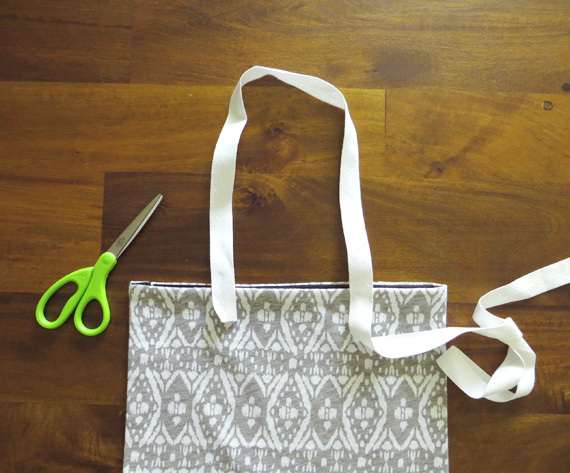 Have you ever made your own tote bag?